Sports have been a historic avenue for immigrant acceptance in the US, but Tamerlan Tsarnaev’s story shows just how much that’s changed. Alienation, poverty and despair drive people—overwhelmingly young men—to awful acts of violence. That’s as true for the strung-out soldier who commits war crimes in Kandahar as it is for the gang member who kills a child on the South Side of Chicago. It’s also true in the case of Tamerlan Tsarnaev, the dead—and deadly—elder bomber of the 2013 Boston Marathon. The recognition of the roots of his rage rings clearly in a brilliant, harrowing profile that appeared Sunday in The New York Times. It’s less a story than an autopsy that explores what killed Tsarnaev’s hope that he could make a life in the United States. Given the unconscionable arguments by Representative Peter King and countless others that the Tsarnaev’s crimes should be a clarion call for intensified profiling and surveillance of Muslim families in the United States, understanding Tsarnaev’s motivations is critical. Just as we shouldn’t accept the racist argument that “culture” is the root cause of gun deaths in Chicago, we should reject the idea that Islam bears any sort of collective responsibility for Tsarnaev’s crimes. The Times article, “A Battered Dream for Tamerlan Tsarnaev, Then a Violent Path,” is heartbreaking, but also does a tremendous service by explaining—not excusing, but explaining—how he arrived at bombing the Boston Marathon on Patriot’s Day, killing three and injuring more than 200. People should read the article, and I’m not going to rehash it. But I do want to explore its examination of how much immigrant aspiration Tsarnaev put into boxing and how the sports establishment in the post 9/11 era responded by pushing him away. In most descriptions of Tamerlan Tsarnaev, he’s described as a “one-time boxer.” That doesn’t quite tell the story. Tsarnaev was a two-time New England Golden Gloves Heavyweight Champion. This was a flamboyant showman of a fighter wearing white leather and furs and incorporating “showy gymnastics into his training and fighting, walking on his hands, falling into splits, tumbling into corners.” The religious ascetic would emerge later. At this point Tsarnaev was WWE flair with Donald Trump attitude. He was America as learned through a television screen. But also, like the America of his dreams, his ambitions were as large as his attitude. Adrift meant eking out an existence on food stamps, and his wife’s $1,200-a-month job. Adrift meant unemployment, as he needed to stay home and watch their infant daughter. Adrift meant feeling a new sense of belonging in political and religious doctrine that spoke of war against United States. Adrift meant fury at the wars in Afghanistan and Iraq but no means to channel that anger in a way that didn’t reflect his despair. The Times article covers all of this in depth. I would add, though, that his feeling of being “adrift” might also have meant he was suffering brain damage as a result of years in the ring. The esteemed neurologist Dr. Robert Cantu has stated that any autopsy of Tsarnaev should include an examination for signs of the life-altering post-concussive syndromes Cantu has seen in numerous former boxers and NFL players. The Golden Gloves’ rejection of an immigrant with fantasies of acculturation and acceptance through sports is profound for reasons unexplored in the Times, but that demand attention. For over a century, sports has been the entryway for many immigrants and people of color to feel a sense of belonging in the turbulent ethnic stew that is the United States. The first Public School Athletic Leagues and YMCAs in the nineteenth century were underwritten by industrialists as a means of “Americanizing” the masses arriving in record numbers from Eastern Europe. Their explicit hope was that sports would be the first step of children toward leaving behind radical socialist European ideologies and buying in to the idea of the American Dream. As the founding mission statement of the PSAL read, organized athletic competition could “provide opportunities for educating students in physical fitness, character development and socialization skills through an athletic program that fosters teamwork, discipline and sportsmanship.” In other words, it would teach the doctrine that anyone who works hard enough could climb the competitive ladder glorified by sports promoters like Arch Ward. Similar hopes of finally having a seat at the American table have been projected onto athletes of color such as Jackie Robinson, Roberto Clemente and, most recently, Jeremy Lin. Their acceptance—or the myth of their acceptance—was treasured by immigrants and people of color as a sign that this country wasn’t just for Caucasians of pure European stock. How horribly ironic that this athletic avenue of acculturation closed in the face of someone who would have been at home in that late nineteenth century wave for whom the PSAL was created: an immigrant from Eastern Europe. There has been so much idiotic ink spilled about whether or not the Tsarnaev brothers “should be considered Americans.” What is certain is that the means by which people have historically felt a sense of having a stake in this country have been inexorably altered in the post-9/11 world. This is now a nation defined and scarred by the cruel anti-immigrant policies of both Presidents Bush and Obama. It’s now a nation defined and scarred by pushing people away from that historic safe haven for immigrants otherwise known as competitive sports. 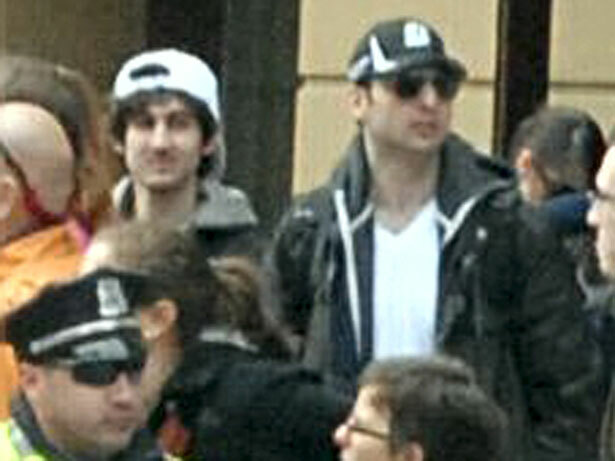 It’s a nation that spawned the brothers Tsarnaev. It’s a nation that must change if future tragedies of violence are to be avoided. This won’t happen by accident. Movements and meetings against Islamophobia and for the rights of immigrants are great a place to start. Sports may have been bestowed onto immigrants from the top down, but a shift away from fear and toward a more inclusive future will only come from the bottom up.